I’ve been getting up early in the mornings lately. The long hours of daylight in spring and summer in Toronto makes the day fruitful. Early morning (Saturday) brought good tidings from India. The BJP-led NDA had conceded defeat in the 15th general elections for the Lok Sabha, and the Congress-led UPA had won, albeit with just a handful of seats short of a simple majority. I watched the late afternoon (India time) live coverage on NDTV.com, and the erudite Vir Sanghvi was holding forth on Congress’ surprising victory. One of the news flashes that really gladdened my heart was the BJP’s acceptance that Varun Gandhi’s anti-Muslim comments and the projection of Narendra Modi as the future prime minister hurt the NDA’s prospects. This will mark the end of an era in Indian politics for at least two stalwarts – L.K. Advani and George Fernandes. 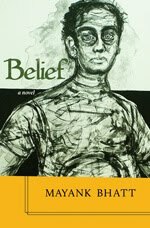 Advani can forget his dream of becoming India’s prime minister; Fernandes should forget politics. One can differ with them on their politics, but I don’t think anyone would willingly ignore their contribution to Indian politics. 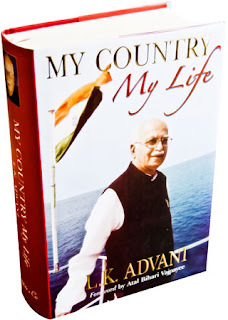 Just before I immigrated to Canada, I read Advani’s My Country, My Life (and wrote about it in this blog sometime ago). The book was aimed at the English-speaking minority of India that continues to have deep misgivings about Advani and the BJP, and shapes national opinion. To his credit, Advani doesn’t make any concessions about his ideological beliefs that many continue to find unpalatable. Advani’s propensity to remain in the news for over five decades is probably unparalleled in the ranks of the Indian opposition. To emerge from the sidelines to the forefront and from being a bit player to be a contender for the PM’s post are unquestionably remarkable achievements. He has constantly reinvented himself, and done that with conviction. My Country, My Life give a good account the different phases of his political career. In the late 1980s and early 1990s, he managed to charge the Indian political firmament with his diatribes against the pseudo-secular, left-leaning intellectuals. The term pseudo-secular gained tremendous currency in the 1990s, and helped – at that stage – correct the Congress’s political imbalance and politics of formulating policies for votes. However, Advani’s political career will be remembered primarily for the destruction of the Babri Masjid in 1992. Although – and this is the strangest aspect of his political personality – he did profess deep shock and grief at the demolition. In the book, he appears to indicate that the demolition wasn’t the handiwork of the BJP volunteers. He implies that those who participated in the demolition spoke Marathi (and therefore could well have been Shiv Sena members). Also in the book, Advani unflinchingly defends Modi in unequivocal terms, going to great lengths to explain his differences with the then prime minister and his mentor AB Vajpayee. For that alone he should have been found unfit to be the prime minister of India. People of India, too, share this view; at least for the moment. However, the new breed of leaders in the BJP that will now replace Advani and the old guard, don’t possess even a modicum of Advani’s sincerity and intellect. Narendra Modi can administer very well; but he can’t administer without malice against a section of population that needs the state’s protection, but gets only systematic pogroms.